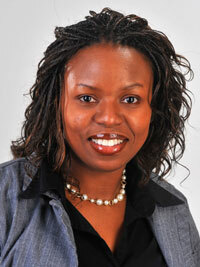 Daysha Jackson-Sanchez has joined Manchester University as dean of student success. She leads the Student Success Center, overseeing academic support, advising, career services, disability services, experiential learning, retention, service opportunities and the writing center. In this leadership role, she will develop and implement success strategies for students enrolled at both the North Manchester and Fort Wayne campuses, according to the announcement by Raylene Rospond, vice president for institutional effectiveness and dean of the College of Pharmacy, Natural and Health Sciences. She earned her master’s degree in business administration from Indiana University Fort Wayne and has a bachelor’s degree from Purdue University Fort Wayne. Jackson-Sanchez is enrolled in a doctoral program in educational administration with a specialization in leadership in higher education at Indiana State University. Prior to joining Manchester on Sept. 1, she worked at Ivy Tech Community College-Northeast as assistant vice chancellor for student affairs and director of student success and retention. Leonard Williams is dean of the College of Education and Social Sciences. Thelma Rohrer is dean of the College of Arts and Humanities. Tim Ogden is dean of the College of Business. Allen Machielson is dean of student experience. The reorganization makes it easier to add programs and help students succeed, further integrating academics and other aspects of student experience at Manchester, such as service learning and experiential learning.